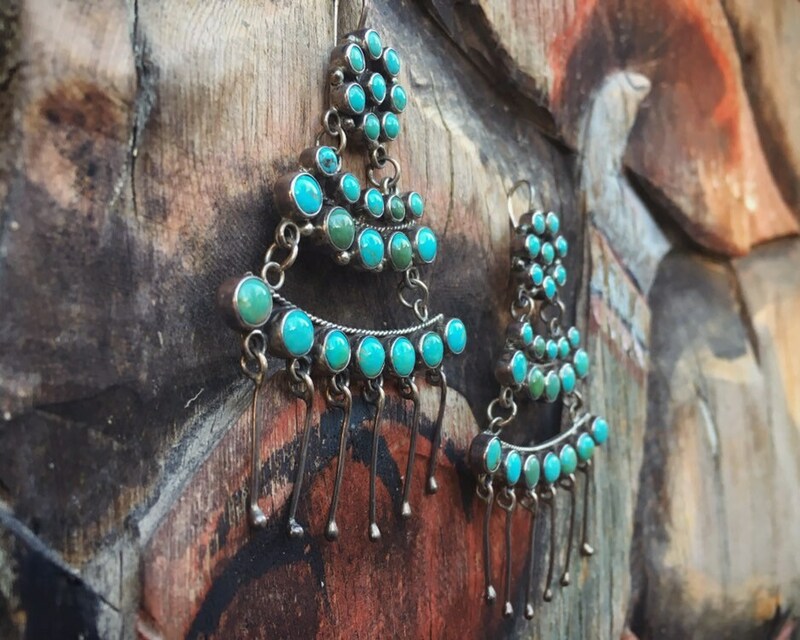 These vintage chandelier turquoise earrings were purchased from Albuquerque designer Gertrude Zachary in the 1980s. 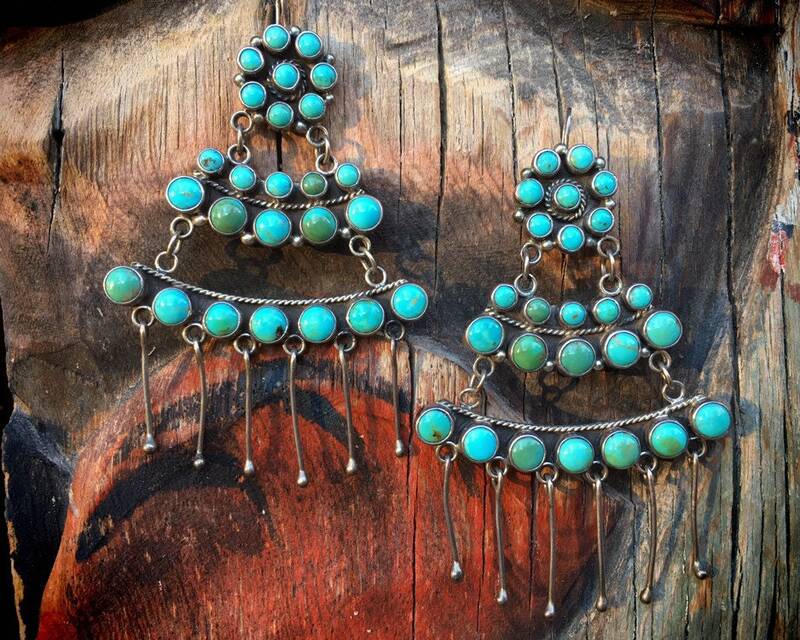 Zachary was a trailblazer in the Southwest, employing Native American artists to bring a contemporary look and feel to traditional designs. 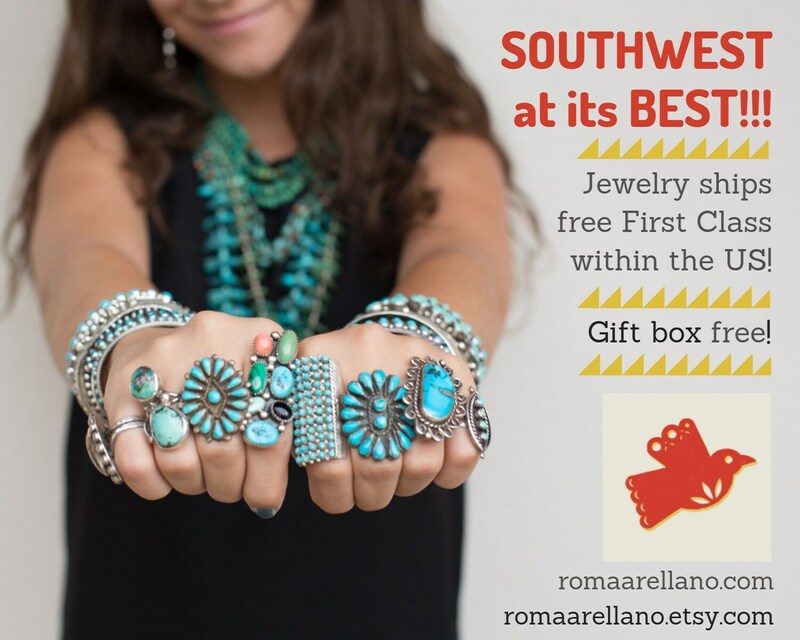 Her jewelry is not unlike that of indigenous Mexican/Native artist Federico Jimenez. The turquoise is American grade in greens to blue-greens. 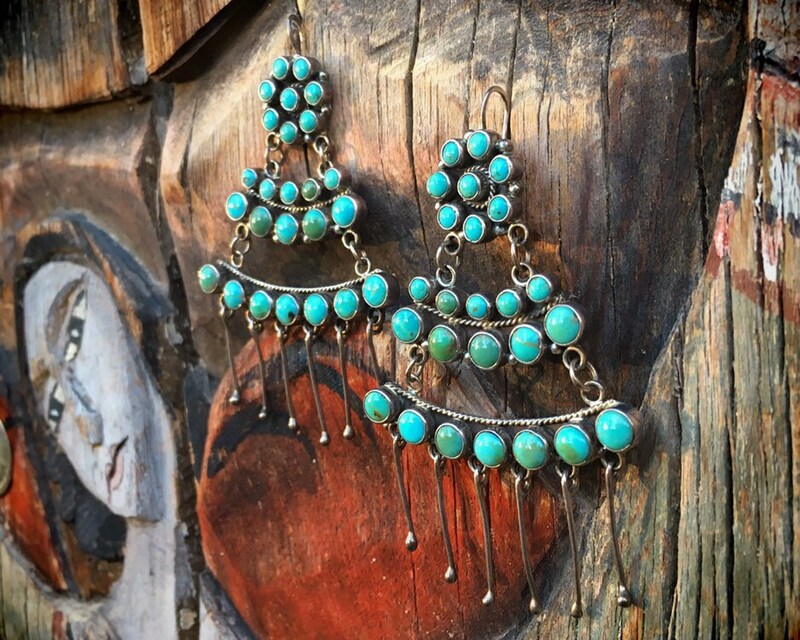 They are not signed, and so we call them Native inspired. 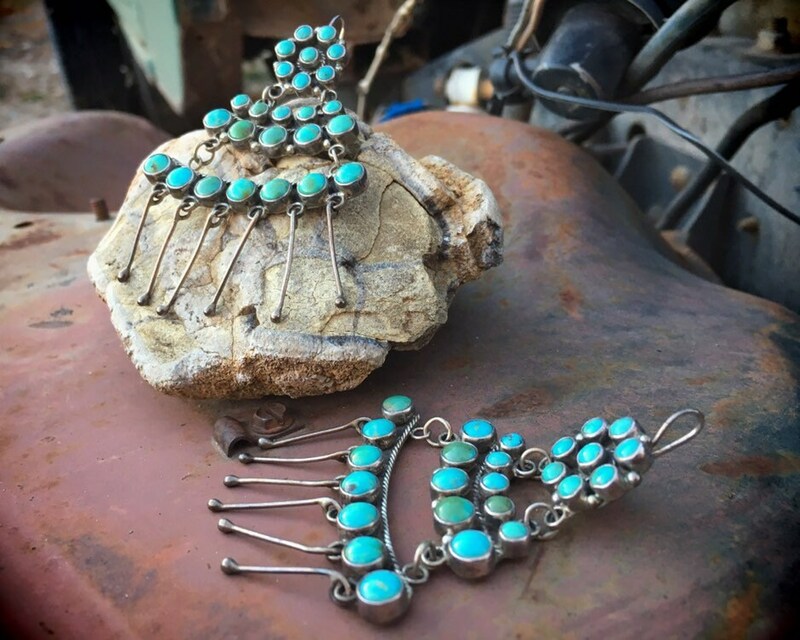 They are all hand made, the ear wires somewhat misshapen by wear over time. The dangles on the bottom are also not completely straight any longer. 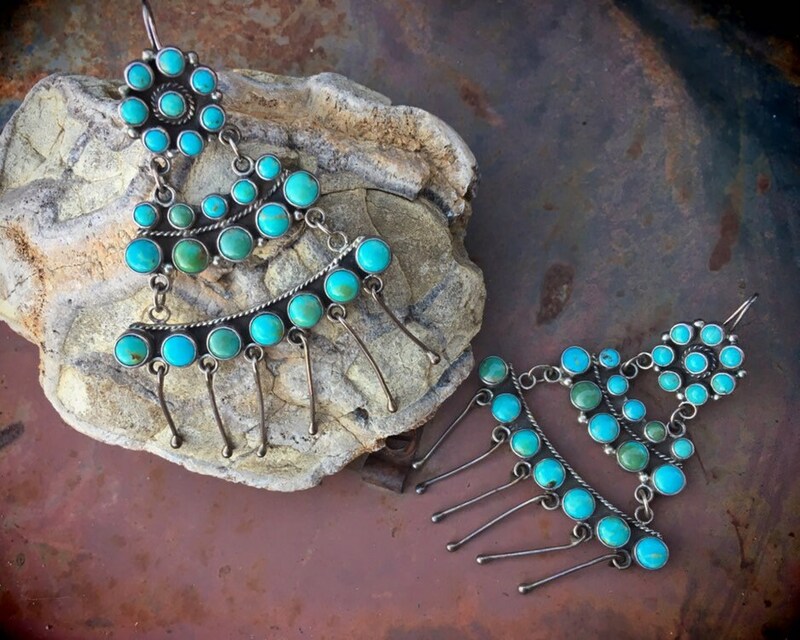 What stands out is the width and length, and if you are the kind of person who loves big jewelry and wears it proudly, these earrings can actually be more than just special occasion. You'll love them enough to make them maybe not everyday wear but something you pull out often. 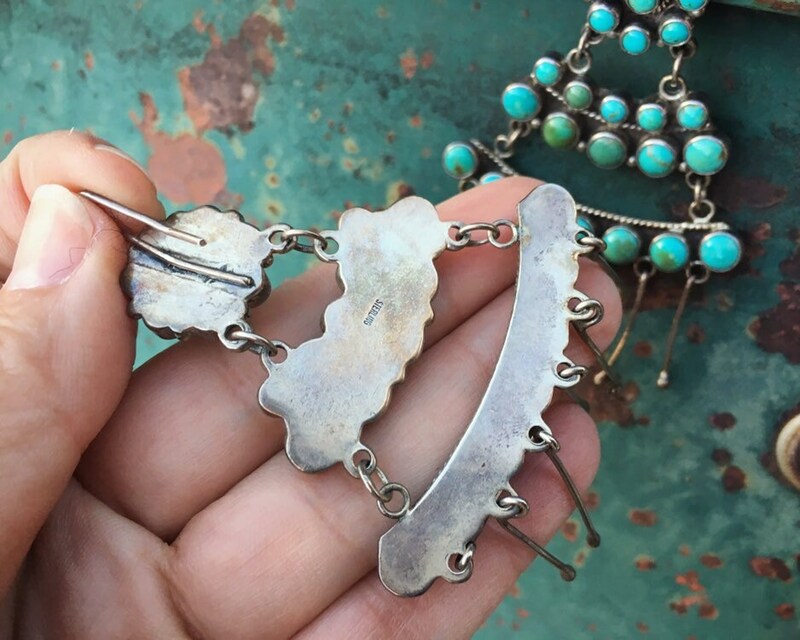 To buy something like this today in a Santa Fe gallery, you'll pay close to $1,000. 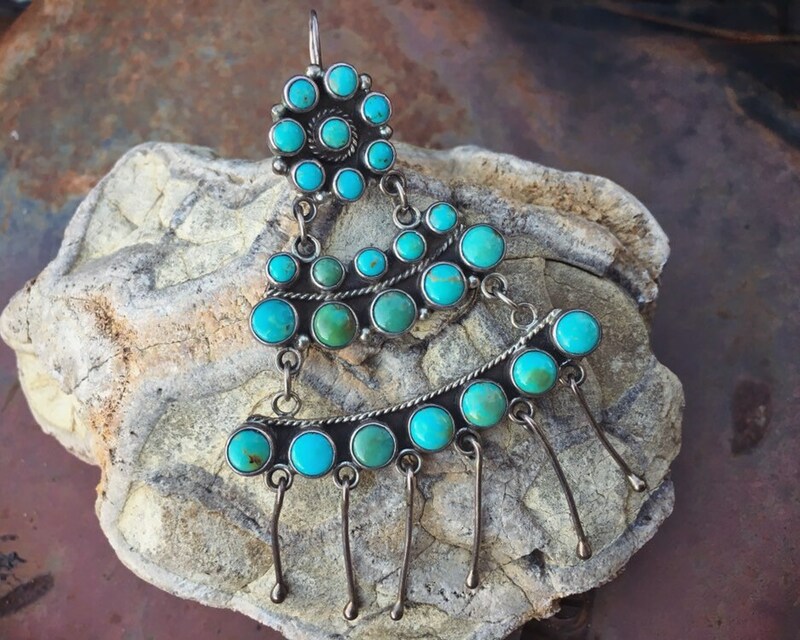 Each earring measures about 3-1/2" long including the ear wire by 2-1/8" wide at the widest part. 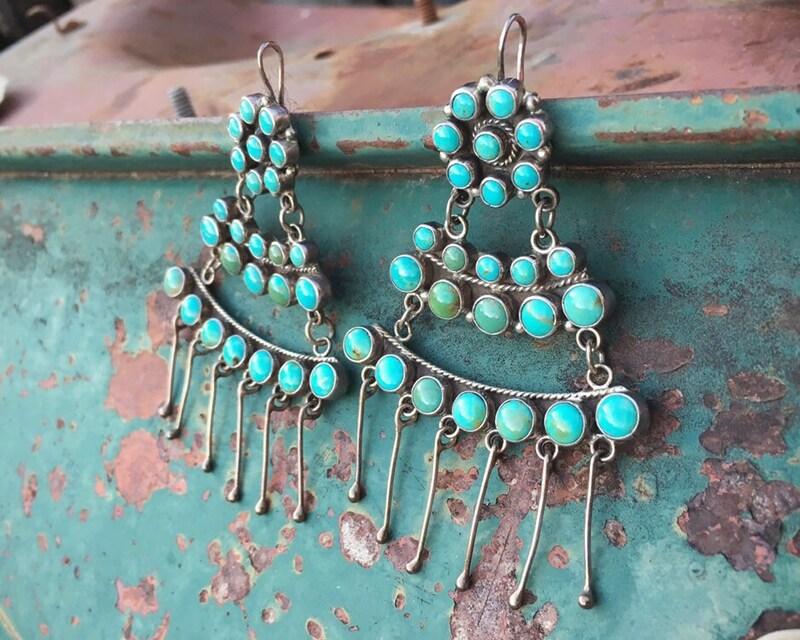 Turquoise well seated in all the bezels, and in great condition.